Severe industrial pollution to rivers and lakes across Canada threatens the health and well-being of Indigenous peoples who rely on these waters for food, livelihoods and maintaining their traditions. Governments in Canada should be setting a positive example for the rest of the world by working with Indigenous peoples to address these dangers; instead, they have ignored the voices of Indigenous peoples, and they have ignored direct calls to action from UN human rights bodies. Launching on World Water Day, Amnesty International is joining with Indigenous water defenders to step up the pressure for urgent and meaningful action on three shocking cases of waters and people at risk in Canada. Our campaign to support water defenders in Canada is ongoing and will regularly feature new actions on our three highlighted cases: Grassy Narrows, Mount Polley, and the Site C dam. 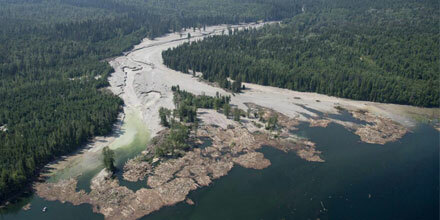 This month, please join our new action on Mount Polley. In the 1960s, the Ontario government allowed an upstream pulp mill to dump more than 5 tonnes of mercury into the English and Wabigoon River system. 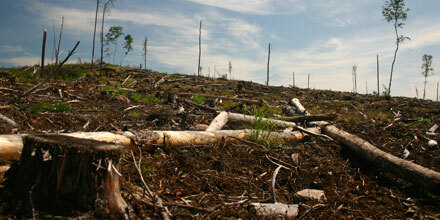 The federal and provincial governments still haven’t addressed the devastating impact on the people of Grassy Narrows. Join our petition action - take action online or download the paper petition (coming soon). Use your online voice to demand acknowledge and address the methyl mercury poisoning at Grassy Narrows. “Our bodies are part of our lands. I am made of salmon, moose, deer and berries from our territory. 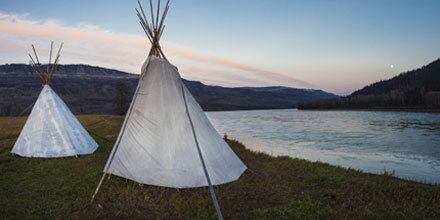 Our story about the land is a love story.” – Nuskmata Mack, Xat’sull First Nation, Secwepemc territory. In August, 2014, the tailings dam at the Mount Polley copper and gold mine burst, sending 25 million cubic metres of tailings and waste water into pristine Quesnel Lake, causing the largest environmental mining disaster in Canadian history. The company in charge of the mine has not been fined or charged, the tailings remain in Quesnel Lake and the company has a permit to discharge mine water into the lake until 2022. Residents fear exposure to toxins if they fish or drink water from the lake. Use your online voice to demand governments hold Imperial Metals and others accountable for the Mount Polley mine disaster. Their own environmental assessment concluded that flooding the Peace River Valley would have severe, permanent and irreversible harm to First Nations. The federal government and the Province of British Columbia approved the Site C dam anyway. First Nations have been forced to go to court just to have the impacts on the Treaty rights considered. In the meantime, the UN’s top anti-racism body has called for an immediate halt to construction. Ask BC Premier Horgan whether or not he intends to uphold the rights of Indigenous peoples.